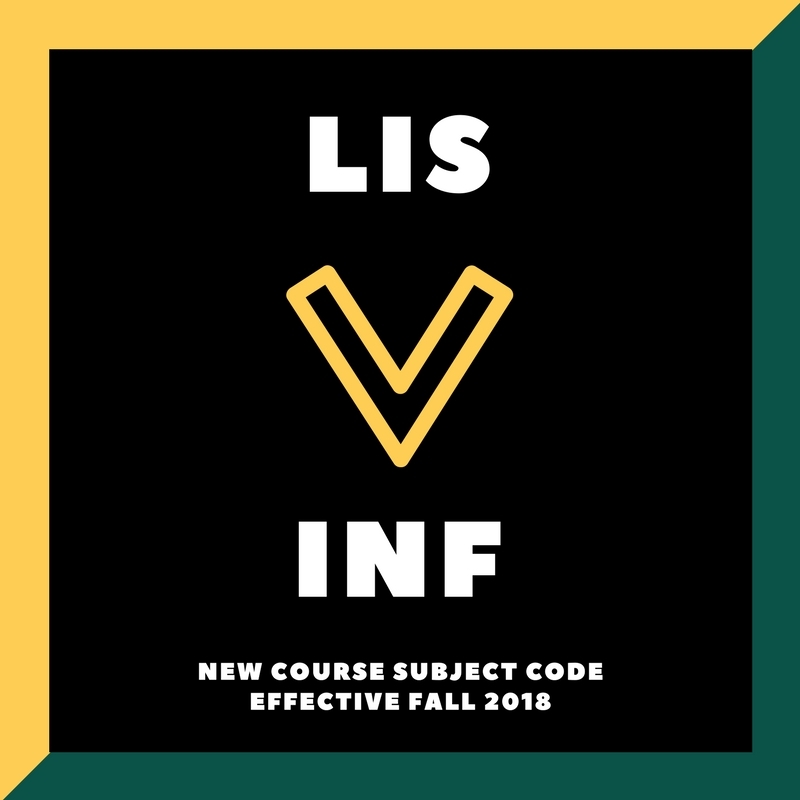 Beginning fall 2018, the School of Information Sciences’ classes will be found under a new course subject code - INF. The spring/summer 2018 semester is the last semester LIS course codes will be in place. All course numbers will remain the same – for example, LIS 6010 will now be INF 6010. You will see this update when the fall 2018 schedule goes live on Feb. 26. If you have any questions about this change, please contact Megen Rehahn Drulia at ay6086@wayne.edu.